1st printing. Includes 8 pages of grid paper. This Marvel "How to Draw" series shows aspiring artist step-by-step how to draw their favorite heroes and villains fromt he Marvel Universe. 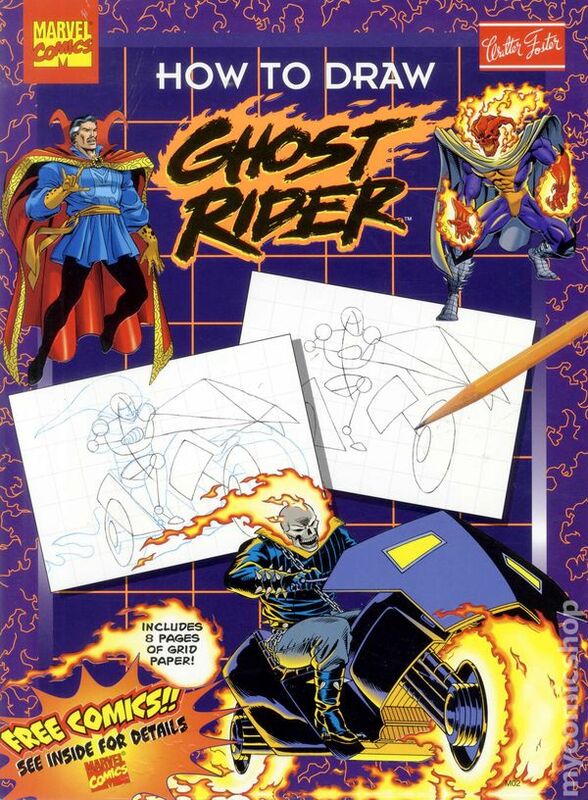 In this volume, learn how to draw Ghost Rider, Doctor Strange, and all the rest of the things that go bump in the night in the Spirit of Vengeance's corner of the Marvel U. Softcover, 10 1/2-in. x 13 1/2-in., 40 pages, full color. NOTE: Marvel 3-month free subscibtion featured on the inside of back cover is expired.